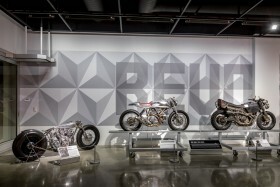 Los Angeles (April 16, 2018) – The Petersen Automotive Museum opened a new exhibit to the public on Saturday, April 14 in the Richard Varner Family Gallery. 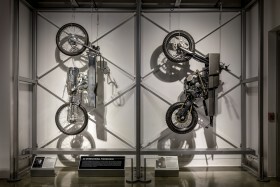 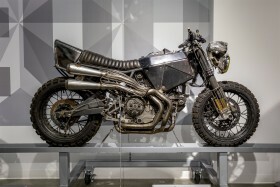 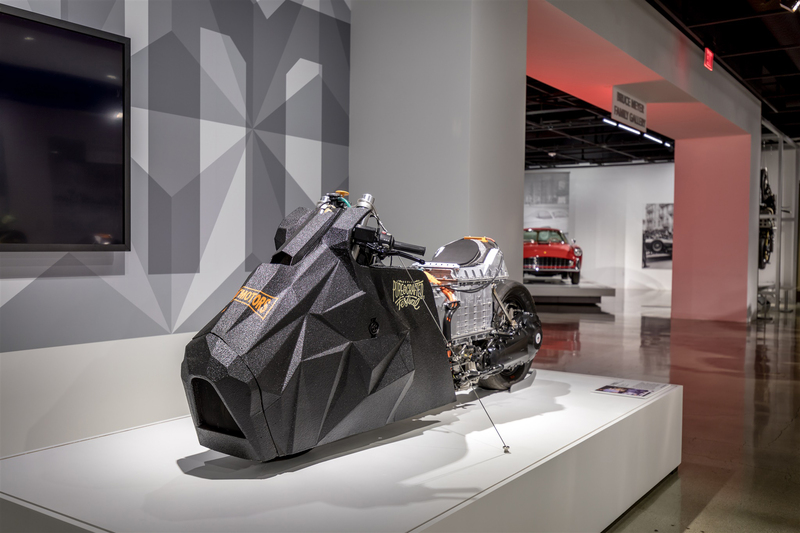 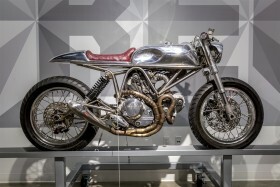 Dedicated to the art of alternative motorcycle customization, the exhibit titled “Custom Revolution” gathers the works of the most influential and innovative alternative bike builders of the past decade, marking the very first museum display in the world devoted to this groundbreaking movement. 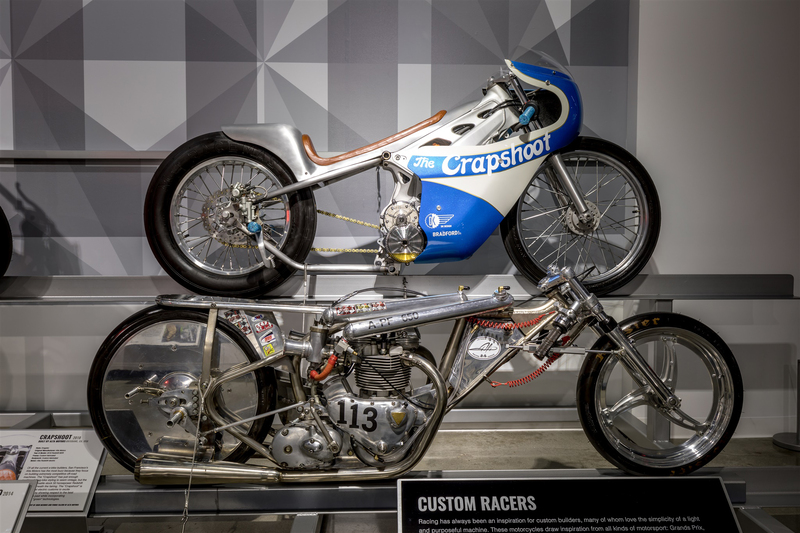 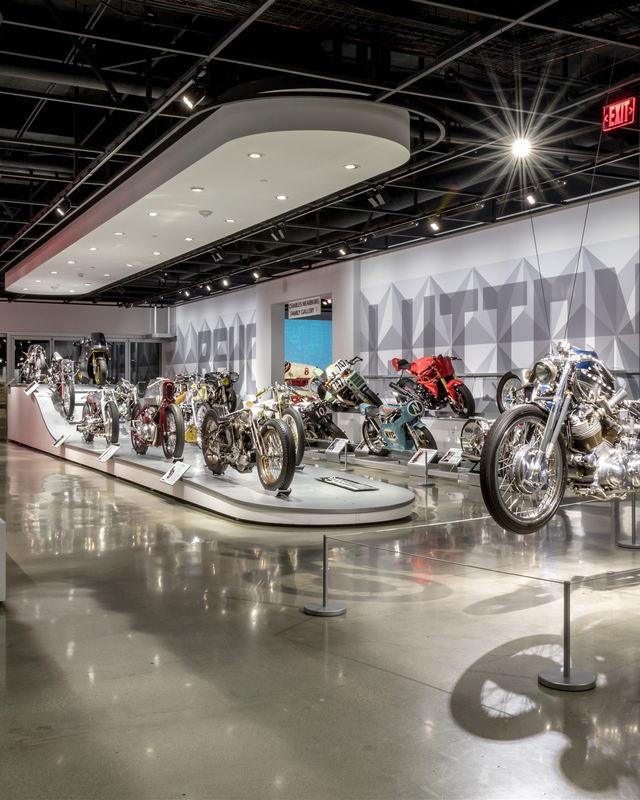 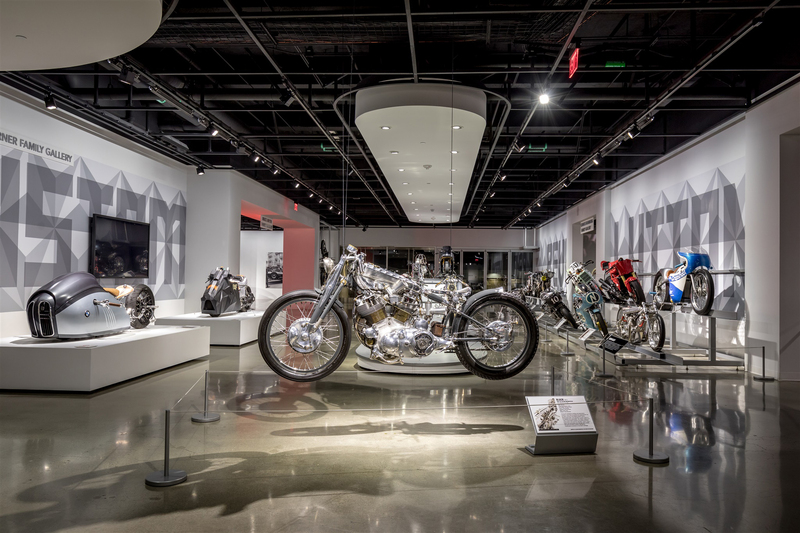 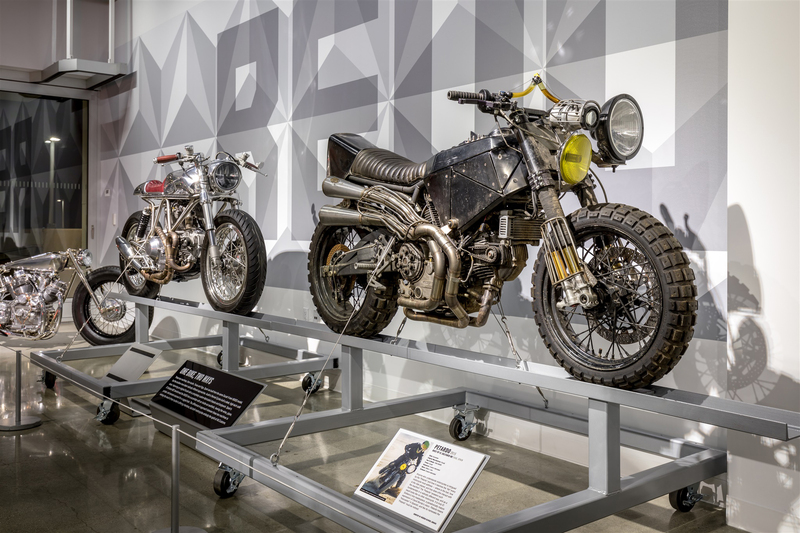 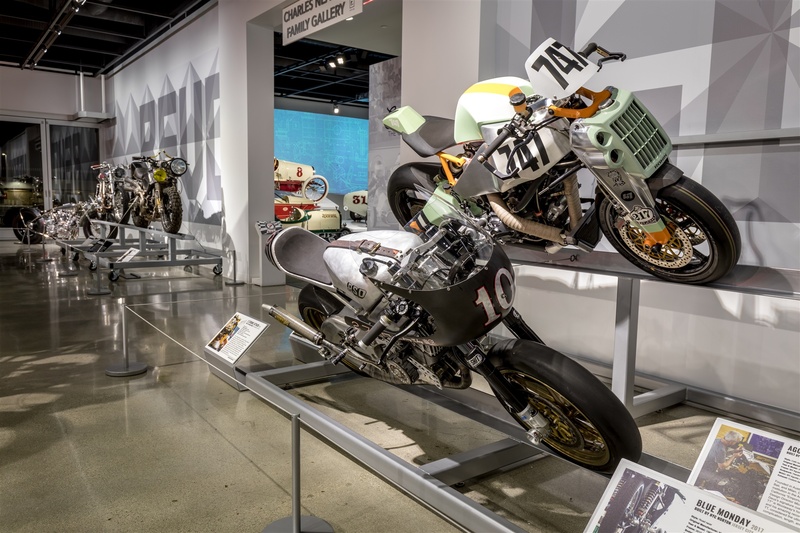 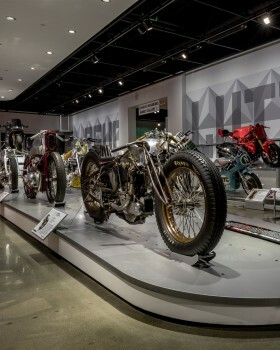 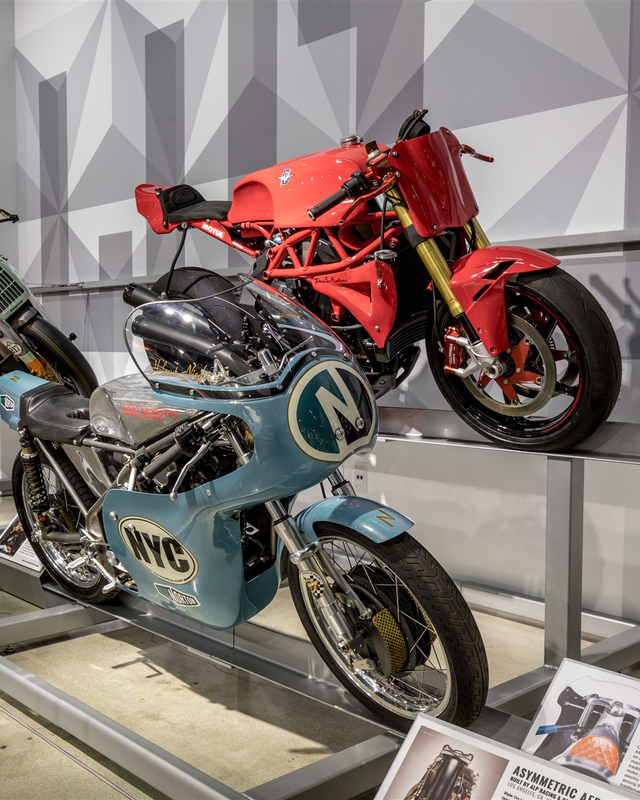 Guest curated by motorcycle historian and author Paul d’Orleans, “Custom Revolution” celebrates visionaries who are pushing the creative edges of motorcycle design and dramatically influencing the current generation of factory-built machines. Twenty-five bikes are on display representing builders such as Roland Sands, Shinya Kimura, Kengo Kimura, Uwe Ehinger, Kenny Cummings, Alp Sungurtekin, Cristian Sosa, Woolie Woolaway and Ian Barry. 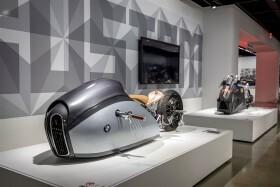 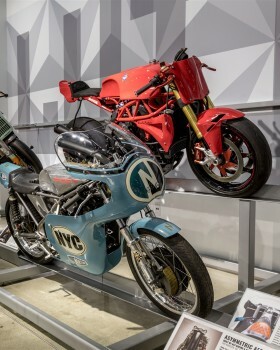 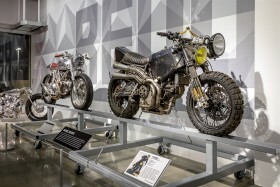 Notable bikes include the Glemseck 101 winner “E-Lisabad,” an electric dragster built by Krautmotors in 2017 from a BMW scooter chassis; the rarely seen “Black” by Falcon Motorcycles, which was built in 2014 and based on the 1952 Vincent Black Shadow; and the “Rondine” by Medaza Cycles, winner of the AMD World Championship of Custom Bike Building. 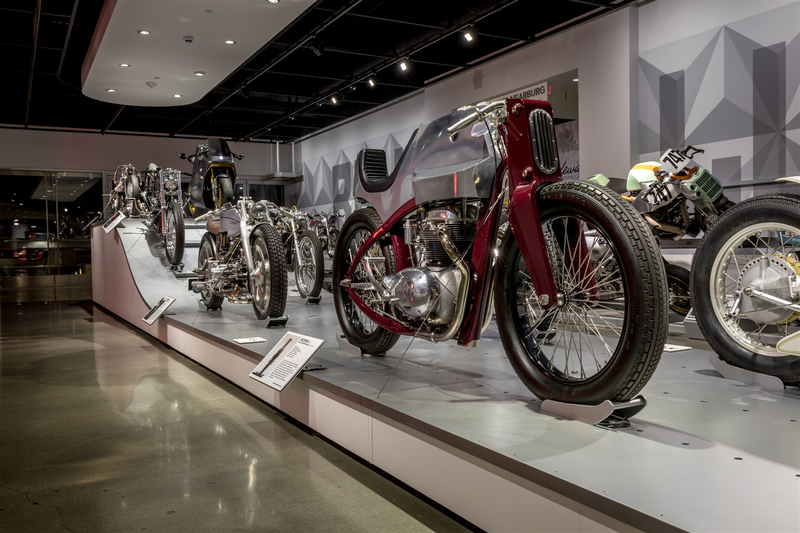 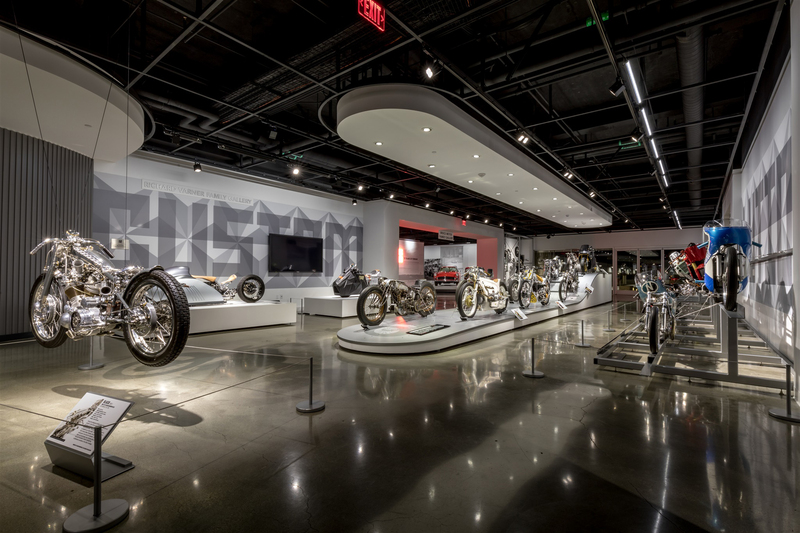 The Petersen kicked off this monumental display on Friday, April 13 with an opening reception and media preview featuring live entertainment, gourmet food and specialty alcohol vendors. 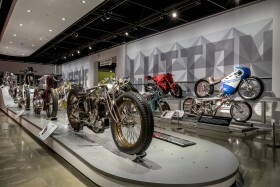 The evening concluded with a panel discussion with automotive journalist Charles Fleming, Founding Chairman Bruce Meyer, Deus Ex Machina Design Director Woolie Woolaway, Falcon Motorcycles Builder Ian Barry and Alta Motors CTO and Co-founder Derek Dorresteyn. “Custom Revolution” will run through March 10, 2019. 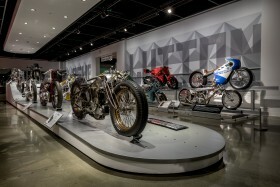 For more information about the exhibit or the Petersen Automotive Museum, please visit www.Petersen.org.